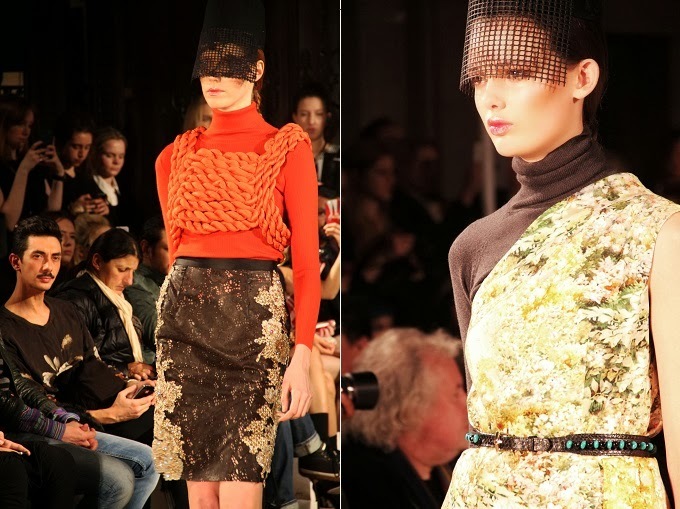 The second show i attended at the fashion week was the show of Ashley Isham. 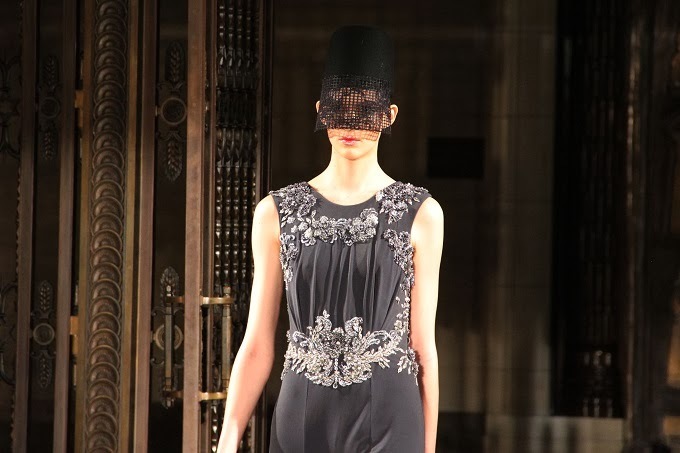 Ashley Isham was born in Singapore but moved to London in 1996 to study at Middlesex University for his fashion degree. 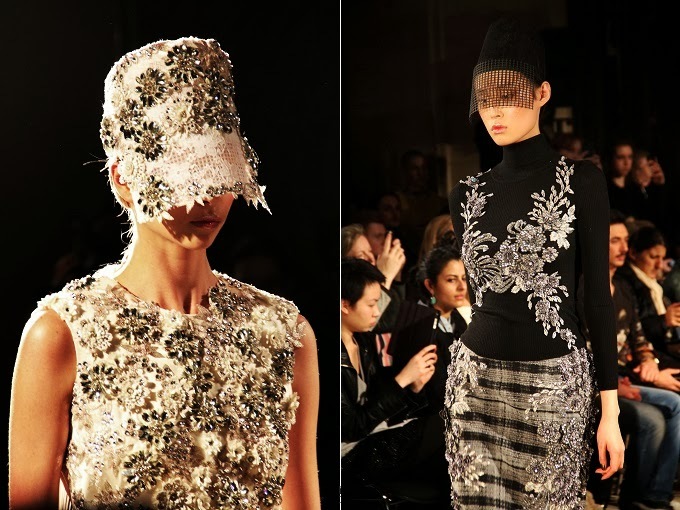 His debut collection launched in November 2000 and he has continued to show at LFW each season. 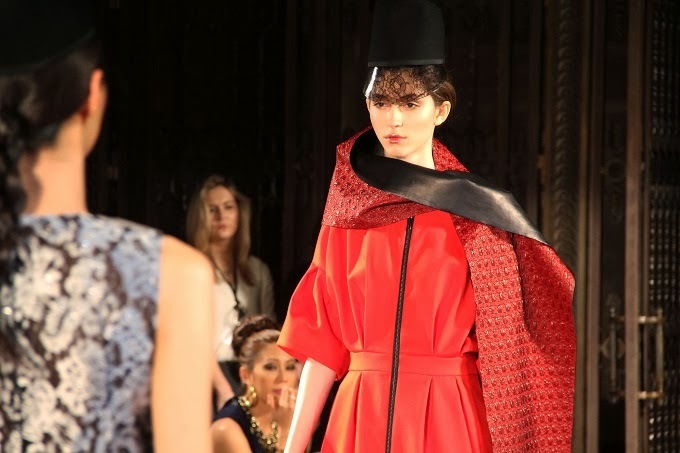 He is know for strong geometric tailoring, decadent fabrics and the signature draping. He has a special way to combine high-octane glamour and contemporary styling. Isham is a designer that is recognized by those in the upper echelons of fashion and has an army of followers who devoted to his vision. His contemporary and classic dresses are simply born to be worn on the red carpets. Little wonder he was the official designer at the 2004 BAFTAs and boasts an increasingly high profile clientele ranging from stars of film and television, catwalk, music, British and international royality. Celebrities which include Florence Welch, Christina Aguilera, Princess Zara Philips, Kylie Minogue, Cheryl Cole, Nicola Roberts, Sarah Harding, Nadine Coyle, Lady Gaga and Paloma Faith. The biggest difference between the two shows I saw was the different look of the models. The models for Ashley Isham's show were really tall, thin and beautiful. They looked more like professional models. They just didn't look like...ordinary people. I felt really tiny when they passed me. Well that's an hard one as i know he's a really good designer who makes lots of master pieces and the cloths really looked nice but it's just not my style. I can't think about any outfit of the show i would wear. Maybe the blouse from the second picture but that's it. But that's just my personal preference. I would describe his cloths as too classy for me. But I really liked the hats the models wore. wow, what for a nice collection!!! Really interesting collection - I love shirt on second picture and the dress on the last one - great post! I love seeing runway shows but most of the looks are usually way to intense and dramatic. I wouldnt be able to pull any of it off:)! I love the blog! I'll be sure to follow your site, so I dont miss out on any fun posts:)!